It is our passion to assist in the design of the project. Our goal isn't to just get the job done, our goal is to get the job done well, and have our customers excited and involved in where we are going with it. We have excellent installers who care about the end result as well. We are so very proud to be connected with our group of builders, sub-contractors, handymen, plumbers, electricians, painters, installers, etc that we have built strong relationships with for years. 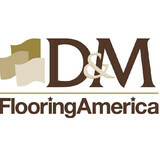 It all began when Marty Van Zeeland and Dennis De Bruin founded D&M Interiors in January of 1976. They started with one truck and operated as installers only, out of their respective garages. The duo went out and bought a truck with 140,000 miles on it for $600 and they were in business. 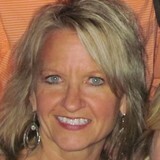 Things have changed over the years for D&M Interiors like any other business that has been around for 35+ years. One thing that hasn't is D&M's commitment to using superior regard for the quality of product and service as our vehicle to increase our sales and profitability in the Fox Valley residential and business floor fashion market. Over the 35+ year history, the company as expanded repeatedly. At one point we had two stores (in Little Chute and Appleton) that employed more than 50 people. At this time we have just the one large location. It is a magnificent facility with both a showroom and warehouse that everyone should visit. We will continue to provide great advice and service to our loyal clients. Beautiful floors should fit your lifestyle, at J.K. Flooring we offer a wide range of flooring options along with professional installation services that will fit your budget and needs. By offering design ideas, helpful suggestions and excellent quality workmanship, you are sure to be happy in choosing JK Flooring for all of your floor covering needs. I have enjoyed a career in design for over 20 years. 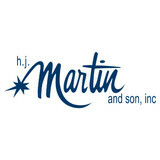 It is my honor to work for HJ Martin & Son, which offers a broad selection of products, at price points and in visuals to customize your personal style. Let our showroom inspire you, and in doing so, allow me to guide and assist you along your path to achieving just what you've been looking for. Just because a business advertises great retail prices on carpets does not necessarily mean their sales staff knows anything about flooring. At Superior Floorcovering, we'll tell you everything you should know about carpets, laminate, hardwood and ceramic tile. Of course our prices are very competitive, but the quality of different flooring choices is what sets us apart from the other local carpet dealers. 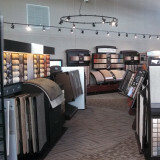 Visit our showroom today and let us explain your options and the advantages of each. We specialize in anything from residential to light commercial. Whatever your flooringcovering needs require, we can handle! Stu Duchow is a well recognized presence in Waupaca County and beyond. Stu brings 50 years of experience in servicing the design needs of his Clients. Many changes have transpired in products and services during the course of his career. Actively involved in every aspect of the business, his expertise ranges from floorings, furniture, window blinds and drapes to construction and installations. Stu’s reputation for hard work and fairness far exceeds anyone’s expectation. At Green Bay Floor Restore, we want to be the company you trust with your greatest possessions - your children - when it comes to your floors. We pledge to provide you with professional, high quality carpet and hard cleaning services at reasonable prices and a 100% guarantee you will be satisfied with the end result. We utilize the most advanced technology to clean your floors and return to their natural beauty. With over 30 years of experience and with access and connections to most any type of floor covering, just let us know what you’re looking for and we can typically get it. And because we keep our overhead down, we can typically get it at a great price, helping you save money! Flooring isn't the only thing we do, we also do remodeling and can build you a custom shower exactly the way you want it done. Nothing is too big or too small. Residential, commercial, handi-cap...we do them all. Want your counter tops or back splashes redone? Let us cover it with granite or ceramic tile. Need your hardwood floor refinished, have water or smoke damage, have burn holes in the carpet or just need a good floor cleaning? We do that too. There’s nothing fancy about us. We just do the job the way you want it done, and we do it right...the first time. Our Company is based on the belief that our customer’s needs are of the utmost importance, and our entire team is committed to meeting those needs. As a result, much of our business is from repeat customers and referrals. So call us today and find out what everybody's talking about! Carpeting is subject to a significant amount of wear and tear, so it’s crucial to make sure a new carpet installation is done correctly, or that an existing rug is maintained properly. Enter Wrightstown carpet dealers. From carpet repair to custom carpet design, these professionals specialize in anything and everything that is carpeting, and can help ensure that your Wrightstown, WI home’s new rug starts off — and stays! — in great shape. Carpet dealers in Wrightstown, WI help homeowners choose the correct carpet covering for their floors, and also assist with carpet maintenance. This includes determining factors like material, carpet pile, durability, color and size, as well as helping with any custom carpet design. After completing the initial installation (which includes removal of the old flooring, if applicable, and surface prep), they may also handle follow-up maintenance requests such as carpet cleaning, carpet repair and carpet stretching. Find a carpet dealer on Houzz. Narrow your search in the Professionals section of the website to carpet dealers in Wrightstown, WI, and read reviews and ratings for pros in your area.